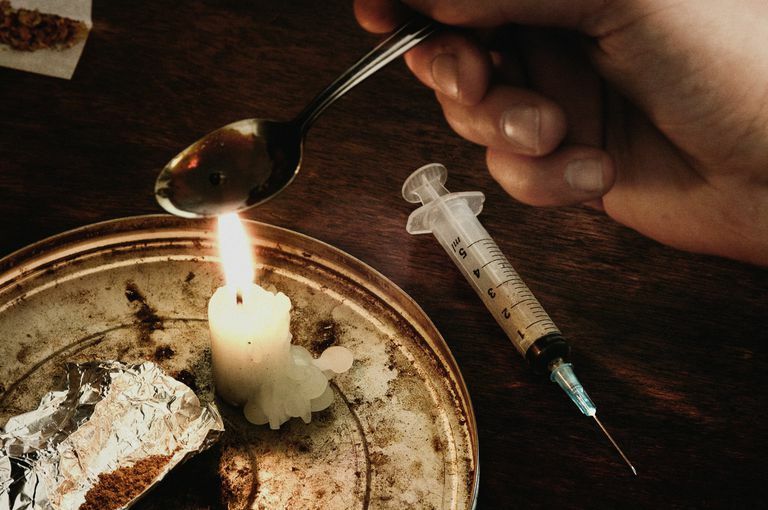 There is little doubt that heroin use is making a comeback in the United States given the increase in the number of seizures of the illegal drug at U.S. borders and the rapid increase in overdose deaths reported throughout the country. The difference now is heroin use is not limited to the dark corners and back alleys of urban America, it's finding its way into rural back roads, suburban streets, and high-end apartments in New York City, cutting across all demographic groups. Almost daily, news articles from law enforcement and health officials across the nation report sharp local increases in heroin overdose deaths. In Vermont, Gov. Pete Shumlin devoted his entire 2014 annual address to the legislature to what he called the heroin crisis in the state. The current prevalence and reach of heroin use in society were seen in the death of Academy Award-winning actor Philip Seymour Hoffman, who was found dead with a needle in his arm and 70 bags of heroin in his $10,000-a-month New York apartment. According to data from the Substance Abuse and Mental Health Services Administration (SAMHSA), heroin use rose sharply for people ages 12 to 49 between 2007 and 2011. However, the trend appears to be reversing for first-time use, even as the numbers of those addicted climb. Past-month heroin users rose from 373,000 in 2007 to 620,000 in 2011, but declined to 435,000 in 2014 and 329,000 in 2015. Those addicted to heroin increased from 179,000 in 2005 to 369,000 in 2011 and to 591,000 in 2015. First-time heroin users jumped from 106,000 in 2005 to 212,000 in 2014 but declined to 135,000 in 2015. The age of initiation of heroin use trended toward younger ages from 2005 to 2010 but reversed and by 2014 was at an older age than ever at 29.6 years old. A positive trend is that more users who inject heroin are seeking treatment, increasing from 26 percent in 2003 to 46 percent in 2013. The vast majority have no wait or only a one-week wait to enter treatment in 2013. Law Enforcement officials in every area where an increase of heroin overdose deaths has been seen also reported an increase of high-purity heroin available at the street level. Southwest border seizures of heroin increased 352 percent from 2008 to 2015, according to the DEA. Officials believe the increase in higher purity heroin into the U.S. is coming from Mexico and South America, expanding into areas of the country used to a less-pure form of the drug. The crackdown by federal and state authorities on the prescription drug abuse epidemic had some unintended consequences. The focus on shutting down "pill mills" and "doctor shopping" made prescription drugs like OxyContin more difficult to get and more expensive. Consequently, many former pain pill abusers turned to heroin instead because it was readily available and less expensive. People who previously used prescription pain pills non-medically were 19 times more likely to initiate heroin use than non-prescription abusers, according to SAMHSA. In fact, SAMHSA's 2013 report showed that almost four out of five (79.5 percent) of new heroin users previously abused prescription pain relievers. Law enforcement and treatment officials likewise report that a majority of heroin users they encounter previously abused prescription opioids. Another factor DEA officials think contributes to heroin overdose deaths is that more people were using the drug at a younger age. The average age of first use of heroin dropped significantly from 2007 to 2010, reaching a low of 21.4 years. However, that trend reversed and the age of initiation climbed back to 29.6 years in 2014. Overdose deaths could be attributed, in part, to the fact that many young people are also binge drinkers. The combination can be a deadly one. There are two main dangers in using heroin: it is highly addictive and it has a high risk of accidental overdose. Unlike prescription drugs, heroin purity and dosage amounts can vary widely. Basically, the heroin user never really knows what level of dosage they may be taking. If someone is used to using a form of heroin that has been heavily "cut" or "stepped on" by mixing it with other ingredients and they suddenly find themselves with a batch of pure heroin, the consequences can be fatal. Sometimes heroin dealers mix the drug with other substances. For example, a batch of heroin sold in bags marked "Theraflu," "Bad Ice," or "Income Tax" was mixed with the potent painkiller fentanyl and was blamed for 22 overdose deaths in the Pittsburgh area, proving again that heroin users never know what they are getting. Also, heroin is the most commonly found illicit substance involved in accidental alcohol and/or drug intoxication deaths. Drinking alcohol with any opioid is highly dangerous because both are central nervous system depressants that can combine to stop the user's breathing. The DEA is working to address this by increasing the awareness among practitioners and pharmacists of the heroin and prescription drug problem. Associations of Nonmedical Pain Reliever Use and Initiation of Heroin Use in the United States. Substance Abuse and Mental Health Services Administration. http://archive.samhsa.gov/data/2k13/DataReview/DR006/nonmedical-pain-reliever-use-2013.pdf. 2016 National Drug Threat Assessment. U.S. Drug Enforcement Administration. https://www.hsdl.org/c/2016-national-drug-threat-assessment/. Results from the 2015 National Survey on Drug Use and Health: Detailed Tables. Substance Abuse and Mental Health Services Administration. https://www.samhsa.gov/data/sites/default/files/NSDUH-DetTabs-2015/NSDUH-DetTabs-2015/NSDUH-DetTabs-2015.htm.